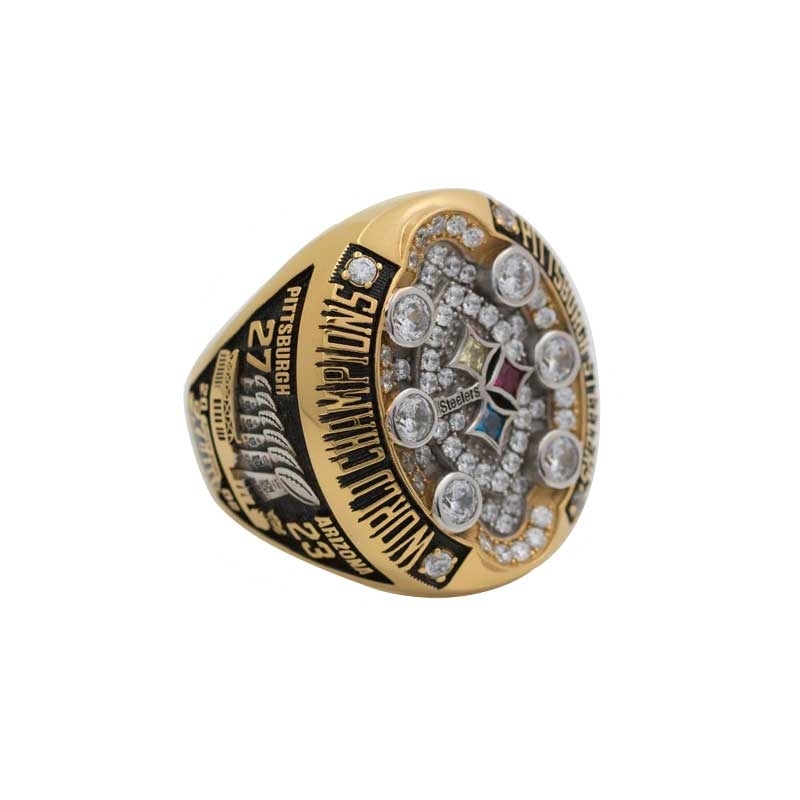 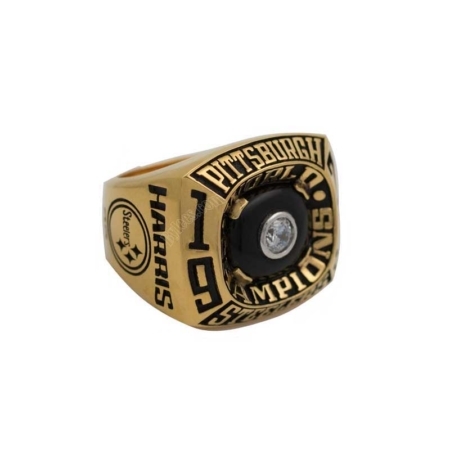 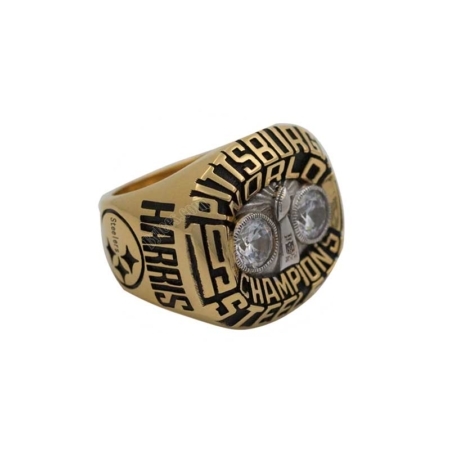 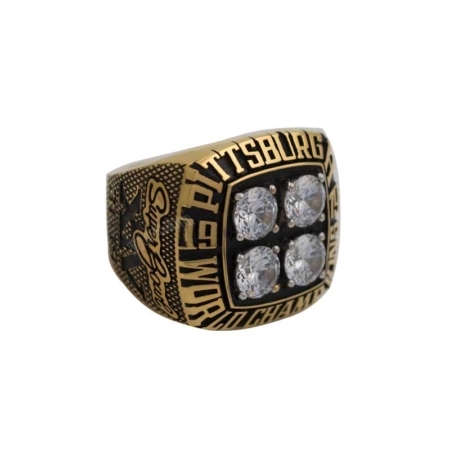 The Pittsburgh Steelers 2008 Super Bowl XLIII Championship Ring is the nearest Steelers Super Bowl ring untill 2018. 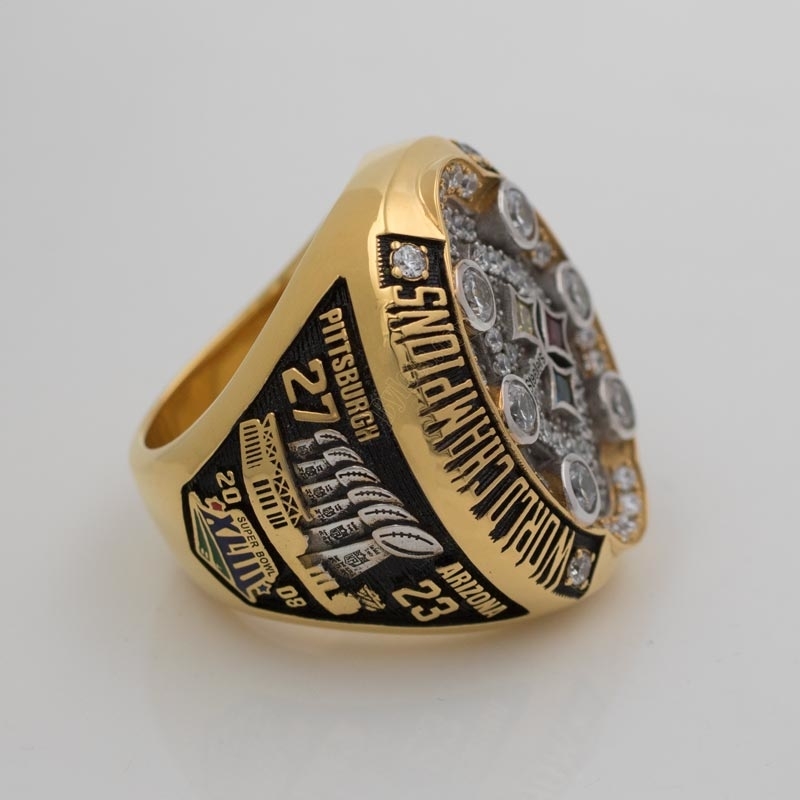 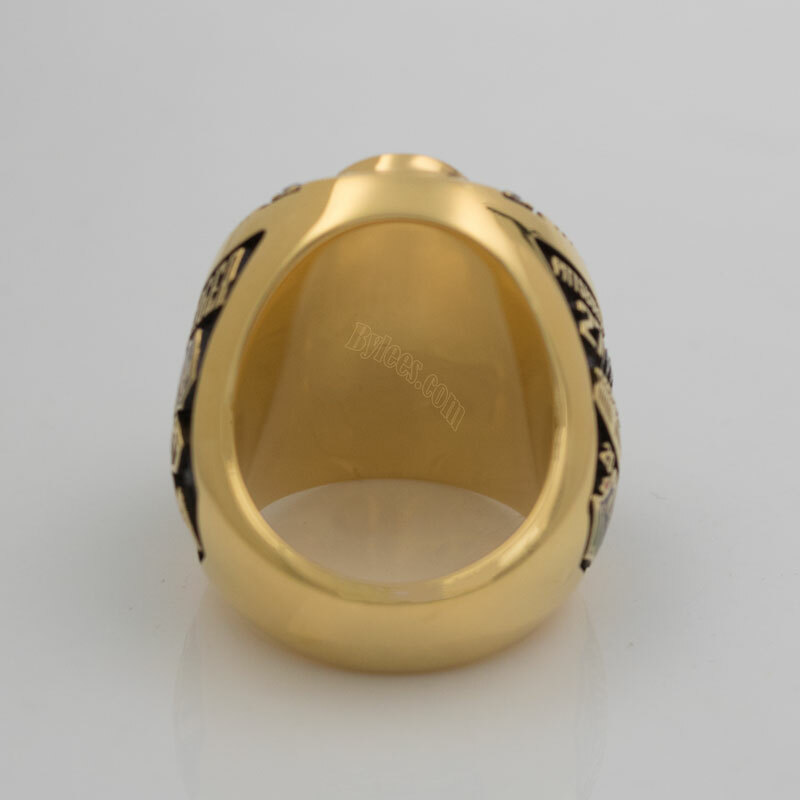 It commemorates the victory in super bowl 43 that Steelers defeated the Cardinals by the score of 27–23. 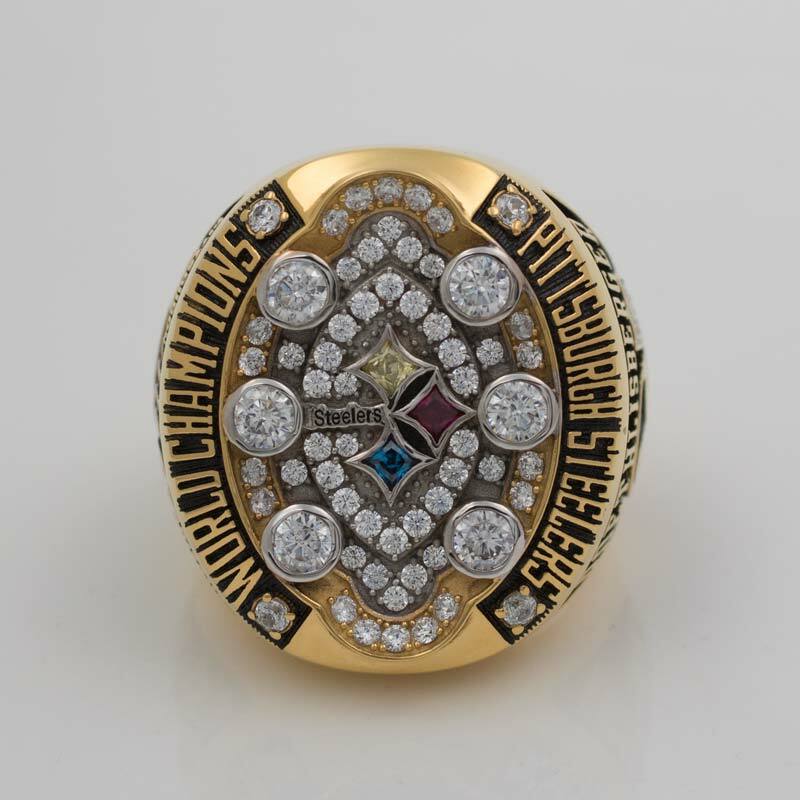 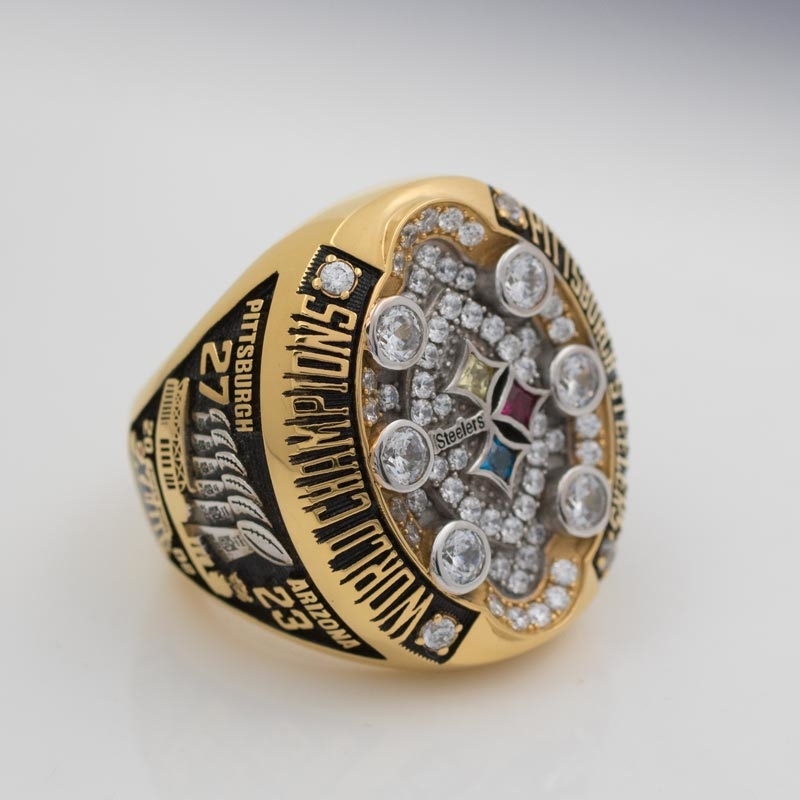 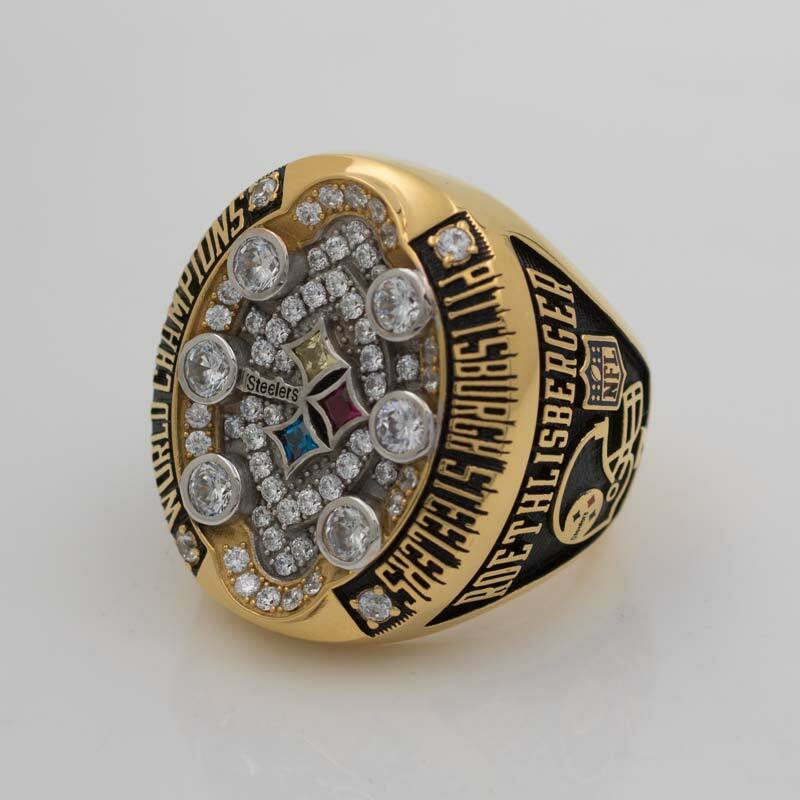 And this year, the Steelers Super Bowl XLII ring is a lot larger, so it was a happy thing for all players and fans. 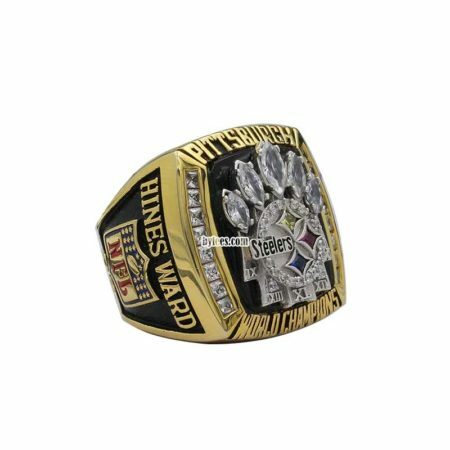 Santonio Holmes, as a wide receiver, received his Steelers 2008 super bowl ring as MVP. 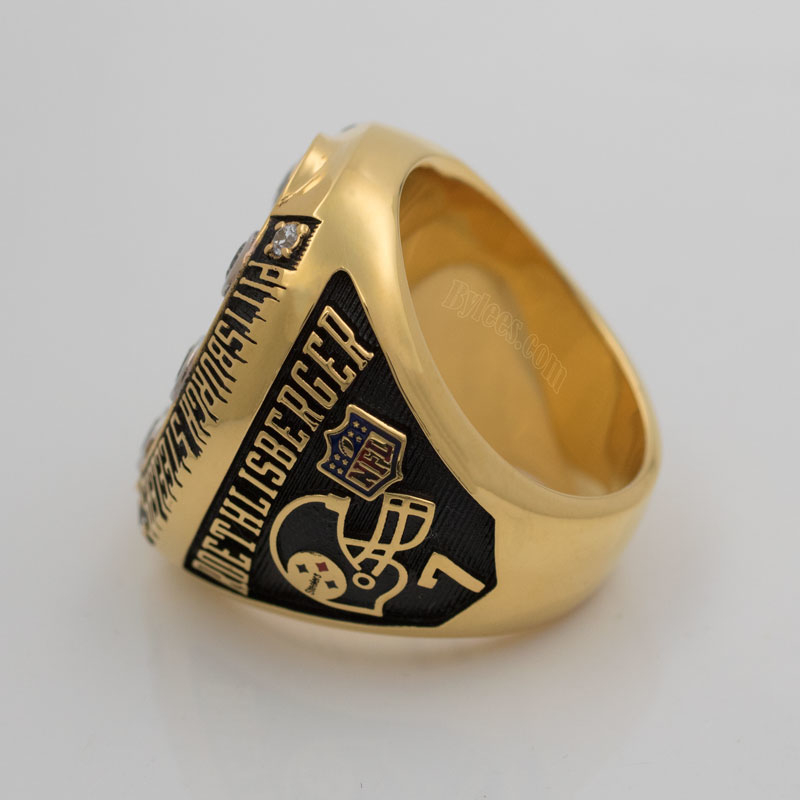 but the version you see here is the player Ben Roethlisberger 2008 super bowl ring, in honor of his NFL great record for steelers.